By phone or by email, I will gather all your event details and you will be emailed general pricing information. 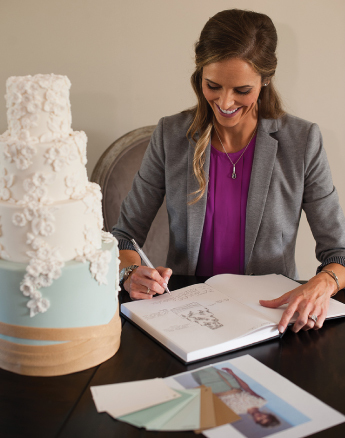 We will then schedule a tasting and design consultation where we will start the design process and you will get to taste several delicious cake and filling flavors. I understand that planning an important event is a lot of work so I want to make it easy for you. I will bring my tasting to you! I find it best to meet at your event venue or at your favorite, local coffee shop. At the time of your tasting and design consultation, I will ask you to bring anything that could be used as inspiration for your cake design. 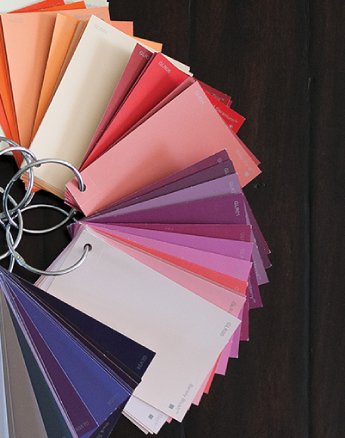 Items such as an invitation, dress, floral and venue photographs, swatch colors, and even jewelry! 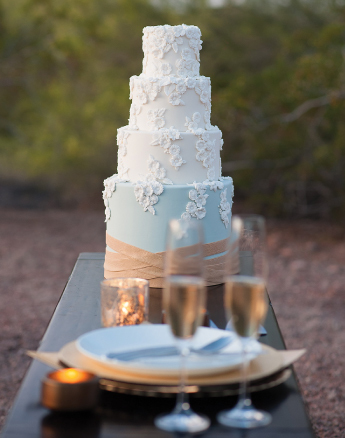 You would be amazed how the smallest detail can be the inspiration for an entire cake design. Due to the intricacy of my designs, the design process typically continues over the next few days. I will then email you a detailed sketch of the cake that is designed just for you. Once you approve the design of your cake, a 50% non-refundable deposit is required to save-the-date and reserve your place with my exclusive cakery. Three weeks prior to your event date, the remaining 50% payment is required, as well as your final guest count. I will work directly with your venue the week prior to your event to coordinate delivery and cake setup. From here, you get to sit back, and look forward to seeing your custom, centerpiece cake presented to you and your guests at your special event. Just be sure you take the time to sit down and eat a slice of your one-of-a-kind cake!